2-Sided All Weather Plastic A-Frame. 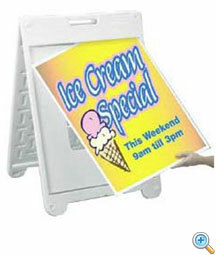 Signs Slide Up and In easily and secured without the use of bolts, screws or adhesive tape. Signs not included in frame cost. 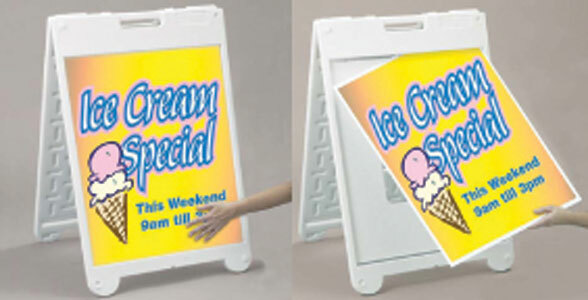 Optional full color signs are available. * This oversized item does NOT qualify for our Flat Rate ground shipping offer and will incur additional shipping charges.